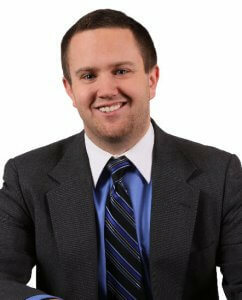 Matt VanSoest serves as graduate architect for Ancon Construction. Matt is a Ball State grad where he earned his Bachelor of Architecture in 2008 and his MA Architecture in 2010 with a concentration in Educational Architecture and Urban Design. 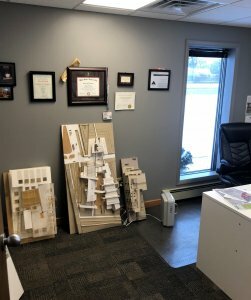 As a graduate architect for Ancon Construction Matt prides himself on listening to the owner’s specific needs to develop early concept building concepts and unique design ideas. 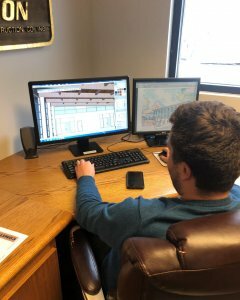 Matt uses the latest CAD software to prepare renderings including site feasibility plans, site plans, floor plans, elevations, details and utilizes 3D computer modeling to help our customers visualize their project. Matt works in partnership with our project managers and estimators during the pricing phase to provide alternative details and value engineering to keep the project on budget and reduce change orders. Another part of Matt’s job that is seldom mentioned but plays a crucial role in the success of a project is performing building code reviews. By starting a project knowing the requirements it makes the project much smoother through final construction documents and state/local permit submittal processes. Matt has over 12 years of experience in the construction industry and has been with Ancon since 2006. In 2008 Matt was able to implement many design principles from his participation in a three year research initiative at Ball State into a state-of-the art charter school project in South Bend, IN. Other notable projects include a 100,000 square foot lean designed trailer manufacturing company, Inovateus Solar, multiple church projects and a large regional science center with an added children’s museum component. The picture to the left shows Matt engaged in some 3D modeling for a client and the pic on the right shows some of the foam board models Matt builds by hand to help clients better visualize their project. We are proud to have Matt on our team.